On Tuesday, Universal Studios Florida in Orlando started selling tickets to its new Volcano Bay water park as part of multi-day admission passes. The multi-day tickets cost between $245 and $295. According to the Orlando Sentinel, the three-day passes will allow guests to visit Universal Studios Florida, Islands of Adventure and the new Volcano Bay water park—one park per day—for a total cost of $245. For a ticket that allows visitors to enjoy each of the parks in the same day throughout the three-day period, it will cost $295, but children younger than 10 years old get a $10 discount. 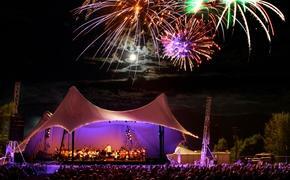 In addition, three-park, four-day park-to-park tickets will run customers $305 each. Tickets with the Volcano Bay admission included are available for use beginning June 1, 2017, but there are still no purchasable single-day tickets for the new water park online. Volcano Bay is one of the biggest additions to the theme park circuit for 2017. 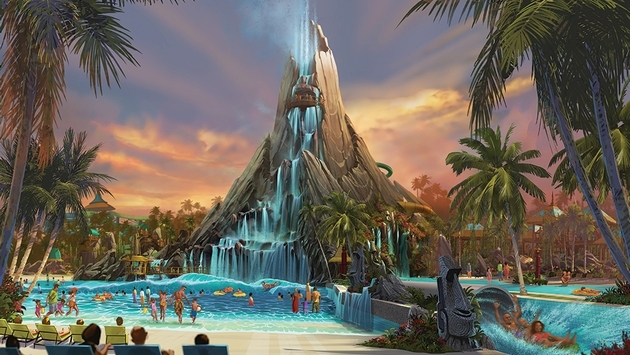 As the replacement for the Wet 'n' Wild water park, the new facility will feature a massive volcano—dubbed Krakatau—as the centerpiece of the park. Guests will be able to travel through the volcano as part of a massive aquatic roller coaster. Another major innovation being added to the Volcano Bay water park is the TapuTapu queueless technology. Using a wristband every guest gets when entering the park, visitors will be able to select the attractions they want to ride and explore the park while waiting for their turn. As their ride time approaches, guests will be notified by the wristband vibrating and a countdown clock which lets them know it’s time to head to an attraction. While an official opening date has yet to be announced for Volcano Bay, the genuine excitement surrounding the new water park is growing every day.